I realized a couple days ago that I’ve almost emptied my Naruko Raw Job’s Tears Supercritical CO2 Pore Minimizing & Brightening Essence (boy that’s a mouthful) and that I should probably do a review before it is completely empty. The Naruko Raw Job’s Tears Essence kind of snuck up on me in terms of its appeal and effects. I didn’t think that it was doing anything all that mind-blowing, but without realizing it I had been reaching for it over and over. Now I’m hoarding the few drops I have left, and am planning on repurchasing it next time I make a NarukoBoutique order. The Naruko Raw Job’s Tears essence comes in a 30ml red glass bottle which looks very pretty and classy, just like most of Naruko’s product packaging. I personally love that although it’s a glass bottle, it comes with a pump (that works very well, might I add), which minimizes oxidation through air exposure, and makes it easy to dispense. 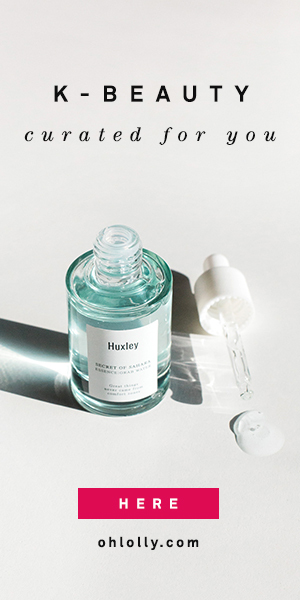 The Naruko Raw Job’s Tears essence is a cruelty-free product with no animal products in it, no artificial fragrance and no parabens, so truly green beauty friendly. The ingredients list for this essence is friggin’ long to type up, and since it’s up on CosDNA, I’ll point you to the complete list there. But I would like to highlight some star ingredients. This essence is really chock full of awesome stuff. On the official Naruko product page it lists the percentages of some of these star ingredients, which I really appreciate. Tremella Fuciformis Extract 10% – Snow fungus extract is one of Naruko’s signature ingredients. Snow fungus is a traditional Chinese medicine ingredient that is reputed to give you perfect, translucent skin. In practice, it seems to be a good moisturizer. Gluconolactone 5% – An anti-oxidant that is a “polyhydroxy acid”, or PHA. This ingredient seems to have some commonalities with AHA acids in that it gently removes dead skin cells. Naruko claims gluconolactone can control oil production and minimize pores. Raw Job’s Tears 5% – This extract from Job’s tears (a barley-like grain used in traditional Chinese medicine) is brightening, reducing dullness. Niacinamide 3% – One of my favorite ingredients in skincare products, this form of vitamin B3 helps to calm inflammation as well as lighten hyperpigmentation. Sodium Hyaluronate – Everyone’s favorite humectant, this hydrating substance binds water to the top layers of the skin. It’s something I always look for in essence and serum type products. Further down the list there is sodium ascorbyl phosphate, which is a form of vitamin C, but it doesn’t seem to be a star ingredient so I don’t think the % is very high. There are also a ton of plant extracts there, so please do check out the full ingredients list, especially if you have sensitivities. The Naruko Raw Job’s Tears Essence has a thin serum consistency and no discernible scent. I think that partly due to the high percentage of snow fungus extract, it has a lovely jelly feel that reminds me of the Naruko Tea Tree Night Gelly. It absorbs quite fast, faster than most of my other serums. This makes it a perfect layering product. I put this on after my hydrating toner and before my thicker serums. The consistency is why I keep reaching for it. It works so well as part of a multi-step skincare routine and feels so nice on my skin. I’ll be honest, it took me a couple weeks of regular use to see results, so no overnight miracles here. I did notice an immediate boost in hydration. It’s interesting, because when used on its own, this essence doesn’t feel that hydrating. But layered under other products, I definitely noticed that my skin was holding on to moisture better. After using every night for a few weeks solely because I enjoyed the texture so much, I definitely noticed some effects. My skin was more translucent and glowy, and far less sallow and dull. While I didn’t see any dramatic decrease in my hyperpigmented sun spots, my overall complexion looked healthier and brighter. Will most likely repurchase. I loved the texture and layering ability of the Naruko Job’s Tears Essence. I also loved the increased glow and brightness of my complexion. The results are not dramatic, but noticeable. Considering that most serums I try do little more than hydrate, I’m definitely willing to keep this one around. I purchased the Naruko Raw Job’s Tears Essence at Narukoboutique.com, where it is currently retailing for $18.99. What do you think? Does this look like a product you would try? The products in this review were purchased by me and all reviews are my honest opinion. Previous Article← Naruko AM+PM Mandelic Acid Toner GIVEAWAY! I have been reading great reviews on Naruko and I honestly can’t wait to try their products. I only hope my skin will love the products. They are one of my favorite brands! I actually prefer when products don’t do “miracles” but those who give results slowly but surely… I sometimes feel like if they “miraculously” work they are a little bit gimmicky to be honest. I’m really impressed by the Naruko products I’ve been using so I’m definitely going to check this out in there future. I hear you and I completely agree. It’s the products that work well long term that are the best. Sometimes a product will have overnight effects but end up being too irritating in the long run. Hmm honestly, I didn’t see much of a difference in my pores! Using a BHA (salicylic acid) product would probably help more with that!